The vast majority of experimental subjects gave electric shocks (fake, but believed to be real) to another test subject (who was really in on the experiment). Many shocks were large enough to kill him, had they been real. Many continued to give shocks even though he begged them to stop. All did so because an authority figure told them it was OK.
Use any of your own authority to leverage your idea or suggestion. Degrees, accomplishments, academic papers, awards, etc. Use other authorities to leverage your ideas or suggestion. Be introduced to your speakers by authority figures. Reference authority figures when presenting your ideas. 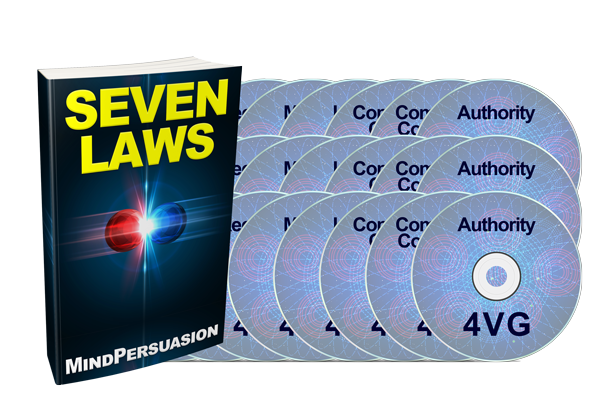 Use Conversational Hypnosis mix the idea of authority with your idea or suggestion. We will be much more likely to follow an idea or suggestion when many people are also following the idea or suggestion. Amazon reviews, fashion trends, number of burgers sold (McDonalds). Link social proof to any idea or suggestion. Before making the suggestion, find as much socially proofed backup data as you can. Use Conversational Hypnosis covertly connect the idea of social proof to your idea or suggestion. We want something more, all else equal, when it is scarcer. Several people were given a cookie and then asked to fill out a questionnaire regarding it’s taste. When the cookies were almost gone, implying scarcity the subjective value of the cookie was much higher, as reflected in the questionnaire. When the cookie jar was nearly full, the cookies were perceived as less tasty, due to the lack of scarcity. Find any idea regarding scarcity and attach it to your idea. Indicate how long the offer or suggestion will be valid. Find any legitimate reason to include time sensitivity. Use Conversational Hypnosis to covertly link the idea of scarcity to your idea or suggestion. We judge things based on how they are compared to other things. Test subjects put their hands in a bucket of water held at constant temperature various conditions, with the following results. Be sure to compare your suggestion or idea to one that makes yours look the best. Make the other idea look much more costlier with only slightly higher benefits. Make your suggestion or idea the easiest most logical choice. We tend to behave consistent with how we’ve behaved in the past. All else equal, people will choose familiar actions over unknown actions. Jury trials last longer when jurors publicly state their opinion to the other jurors before deliberation. Conversely, jury trials where their initial opinion is kept secret are much quicker. When we state something publicly, we are much less likely to change our mind. Frame your idea or suggestion so it is consistent with what your target has done in the past. We feel subconsciously compelled to return favors that were done unexpectedly. A test subject was much more likely to buy raffle tickets from another researcher, posing as a test subject, when the researcher previously gave the other test subject an unexpected soda. Hare Krisna’s made little money in airports until they started giving away flowers before asking for money. Also known as the Godfather Principle, after a fictional Vito Corleone used this law of persuasion to gain gangster notoriety in the Godfather films. Do genuine favors for people, so you can build up your reciprocity power when later asking for favors. Before asking for a favor or making a suggestions, recall the previous favor. We are much more likely to believe ideas or obey commands by people we like. Halo Effect, rapport building, attractive newscasters vs. unattractive newscasters. Researchers sent attractive subjects and normal subjects into job interviews. The attractive subjects gave purposely wrong answers. The normal looking subjects gave correct answers. The attractive subjects were hired more often than the normal looking subjects. Smile! Build unconscious rapport. Be genuinely nice to your target before persuading them. Look as physically attractive as you possibly can. Seven Laws of influence. How to use covert hypnosis to conversationally apply all these laws.